A Metro board committee voted Thursday morning for train service to end even earlier than before Metro launched its aggressive SafeTrack repair program. The committee voted in support of Metrorail service stopping 30 minutes earlier Monday through Thursday, 2 hours earlier Friday and Saturday and 1 hour earlier Sunday. Mondays through Thursdays from 5 a.m. to 11:30 p.m.
Fridays from 5 a.m. to 1 a.m.
Saturdays from 7 a.m. to 1 a.m.
Sundays from 8 a.m. to 11 p.m. The proposed new hours would be in effect for two years starting July 1, 2017. Before SafeTrack launched, trains ran from 5 a.m. to midnight Monday through Thursday, 7 a.m. to 3 a.m. Friday and Saturday and 7 a.m. to midnight on Sunday. Since SafeTrack repairs began in June, the system has closed at midnight every night to allow crews more time to work on the tracks. Those closing times were expected to be temporary. The proposal could be voted down by Metro's full board. D.C. officials have urged Metro to return to regular late-night hours, and because of the way the Metro board is structured, could veto the plan. Metro Board Chairman Jack Evans represents D.C. on the board. He said at the meeting Thursday that D.C. had already compromised enough on the plan to cut hours. "We believe we have compromised enormously. So for someone to say we need to compromise more is not a realistic approach to this problem," he said testily. The full board is scheduled to meet Dec. 15. Metro General Manager Paul Wiedefeld said SafeTrack needs more time to make an impact. "There's no way we are going to have this preventative maintenance program up and running and get real data back in a year -- it's just not realistic," he said. After Thursday's vote, D.C. Mayor Muriel Bowser's chief of staff, John Falchiccio, told News4, "We will always advocate for what is in the best interest of riders." 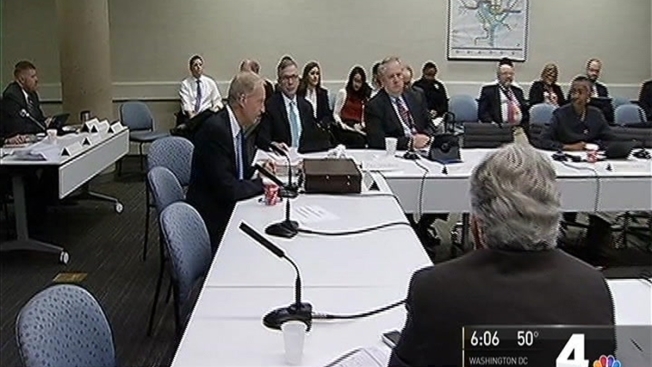 Bowser and Metro Board Chairman Jack Evans previously spoke against the plan to cut late-night Metro service for years. "We can't continue to be asked to support a system that doesn't serve the needs of our region," Bowser said. "This can only be a temporary measure for one year," Evans said. Metro officials said the earlier closing times will allow crews more time to make needed repairs.